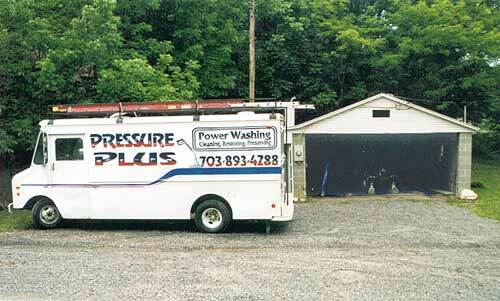 A picture of my brother's "Pressure Plus" truck and the garage where the 9N is housed. The garage was used as a temporary sandblasting/paint booth. My brother, who owns and operates a power washing business, used his high powered pressure washer to remove years of dirt, grease, and some paint from the 9N before it was sandblasted and then painted.